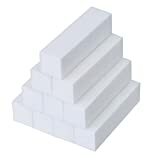 Remember, back in the old days of stamping when we had to actually measure and cut and score and fold and engineer our own treat packaging? I'm THRILLED that those days are gone, and companies come out with cute little dies with windows that take all the math and engineering off our hands so we can just have fun. We are collaborating with My Favorite Things today, and when I saw their nugget die and matching shaker pouches, I squealed - I used to spend hours constructing little nugget boxes, as they are one of my favorite treats to decorate and give out at drive throughs, etc. So I went to work on this adorable treat tag by doing the following. First, I used my Life Changing Blender brushes to apply Picked Raspberry, Spiced Marmalade, Mustard Seed and Peacock Feathers Distress Inks to a full sheet of label paper, which I cut in half after using this stencil and a wet Absorber to put the heart pattern subtly all over it. I took one half of the paper and stuck it down to white cardstock. I then cut two of the main tag die shapes out of this. Then I took the window portion of the nugget die and cut a window out of one of the tags. If you then take the window piece that it cuts out, you can use the tag topper die on that piece and save a little paper! So that's what I did. Then I lined the two tags up back to back, and I traced the window from the front of the tag onto the back of the other tag. I held the tag up to my magnifying desk lamp and positioned the die that cuts the opening along the trace line and taped it down for die cutting. I set the front tag with the topper up in my MISTI and stamped the sentiment from this hilarious set in Nocturne on the bottom of it. Next, I took the other half of the label paper and I cut three label wrappers from it with the wrapper die. I did not put this paper on cardstock - I wanted it to be thinner. I lined those up in my MISTI and I stamped the little heart from this set onto each of them. Then I removed the liner from the label paper and wrapped the nuggets - I got the assortment bag so I put one of each in there. Then I slipped the insert into the tag with the topper. To make it easy to secure, I put 1/8" Scor-Tape around the lip of the little nugget insert. Then I ran Connect Glue all around the edges of the first tag. I lined up the two tags and glued them together! Here's what the back looks like with that fun opening slot from the nugget die. I finished it off with some turquoise glitter ribbon. Our team and the MFT team have lots of inspiration for you today. Here is what the MFT team has cooked up. We both have giveaways, so to be entered to win one of three $50 shopping spree at our store, and one of three $50 gift certificates from My Favorite Things, just leave us a comment telling us what your favorite papercrafted giftable is to give! Love any type of small boxes and shape boxes. They are so fun to give away! My all time home craft is lip balm. When those lip balm pouches came out; well, talk about a squeal! Now we have Nugget pouches, gift card pouches...it's so stinkin' awesome! This is a nice giveaway. Great ideas too. I have not heard of your company yet so fun find! I love the nugget treat die too - what an adorable and colorful project you created. 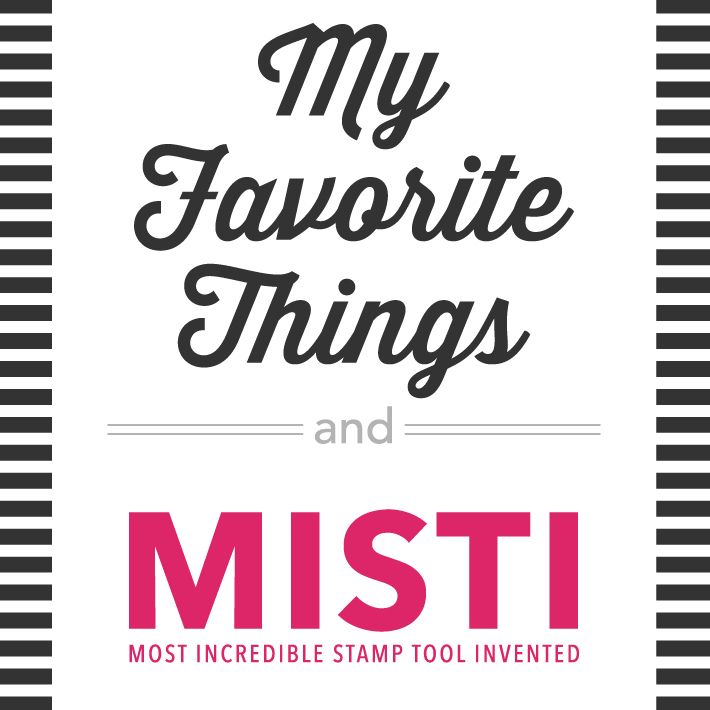 The MISTI tool has made me fall in love with stamping all over again. It really was a game-changer for me. I like to make a lot of memory albums, baby albums and wedding albums, I also make cards for several different Ronald McDonald Houses. Isn't this Nugget tag die and pouch adorable? I love this set. You have done an amazing job on it Lydia and the sentiment cracks me up every time I see it! I love to make card sets up to give to my non-card making friends and I have to say, since getting a MISTI, it has certainly made that task much more pleasant and quick without the waste of paper! I also have to admit (AND you are absolutely right!) dies have certainly changed things for card making from having to be an 'engineer' to just enjoying the process of making a fun card, box or pouch. I like making lip balm cards/tags too for gift giving. I enjoying doing the shaker cards and candy cards. I love ways to give gift certificates, there are so many cute choices. Love to give box cards. right now i have an obsession with trees made from books! lol! Simply gorgeous! Such a wonderful hop filled with inspiration! What a great hop and collaboration!!! Thanks for the chance to win! Love both your companies and your products!!! This idea for a tag is super super cute! Love so much the gorgeous colouring!!! My all time home made craft is lip balm. Talk about a squeal when those lip balm pouches showed up! Gift card pouches, nugget pouches...it's all just way too cool! I love the idea of the nugget tag!! Two of my favorite companies on one blog hop, yay! My favorite papercraft to give is cards and or sets of cards. I love making little boxes and bags out of paper that match the card. Love using my score board to create unique and cute ways to hold goodies and treats to match the card or gift tag. So cute, love those vibrant colors! So many great projects in the hop! The only papercrafted things I give are cards! I love creating gift card holders! Gift cards always fit and are always the correct color, lol!! And the holders are so easy to design using the amazing products and inspiration from MFT and MISTI!! I definitely like to give hand made cards the most. I also like to give bookmarks, candy filled treat tags, cards with gift cards. All of the above! I adore the colors on your tag Lydia, it looks like a beautiful painting. Thanks for sharing with us. Since most of my nieces & nephews are 16-21 now, I give them a gift card for birthday's and Christmas. So making a card that specifically holds that GC is my favorite papercraft gift. I do also love Valentine's Day with a gift of chocolate like this one that you made here. Yummy! I love creating boxes sets of cards for friends and family accompanied by little boxes of chocolate. You can't beat homemade card! Great project! Love the subtle hearts! My favorite papercrafted giftable is to make card sets to give to someone and I want to try making some fun gift card holders. I love making cards, and my favorite giftable item is lip balm using the MFT lip balm dies and pouches. I used them, with candy cane lip balm, for all of my Christmas cards this past year. The recipients loved them! I love to make cards for both my young granddaughter and for my 91 year old Mom with Alzheimers. She seems to still get pleasure out of a cute card so I try to send her one frequently. to tailor them to their interests. your stamps when you are working. I make Kleenex box covers for different holidays for friends and family. It is great to stamp sentiments and decorations for the sides with the Misti. Cards. I love making and sending cards for any and all occasions! Love how bright and happy that tag is! It will definitely bring a smile to the recipient. I like making a variety of cards: birthday, thanks, feel better, sympathy etc. and packaging them up in some pretty silk ribbon for gift giving. I like to give sets of cards or Christmas tags. My favorite papercrafted giftable is a homemade box, card and egg. What a wonderful project! Love those nuggets! My favorite thing to craft is what I call "A box full of smiles." It's a box with a mirror glued inside on the bottom of the box. Thank you for the chances to win!! I love making making birthday cards or thank you cards to give friends! Thanks for the great inspiration and the chance to win from great companies! My favorite papercrafted giftable is any kind of treat bag decorated with stamped images and/or die cuts along with a card, of course. Stunning ideas on this hop - thanks for sharing!!! Greeting cards would be my favorite since I have not really made any other giftables except for a few gift card holders. Love this latest item from MFT, and love your project! My favorite papercrafted giftable to make and give is making lip balm holders. Again, another great item from MFT! Thanks for the opportunity to win a great shopping spree! My favorite papercrafted giftable to create are cards that are interactive! I love when my favorite companies team up together!!! MFT and MISTI are a match made in heaven! Loved all the inspiration too! WOW! What an amazing collaboration and hop! I love this rainbow inked treat container! So much fun! Thank you for the giveaway and inspiration! I love to bake, so my favorite paper crafted gift is either a cute little bag or tag to go with some goodies! I love this cute little treat tag idea! 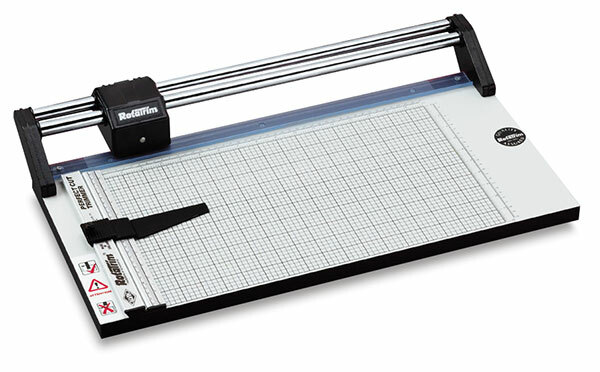 It's the perfect gift for a crafty friend! Really excited about this collaboration hop. Your little chocolate treat tag is fabulous with all the wonderful colors. I like to create tags as gifts also mason jar covers for those who use mason jars and I put them in a little decorative box. I love to make and give little boxes or treat containers all decorated with ribbons and Hand-stamped tags and paper. 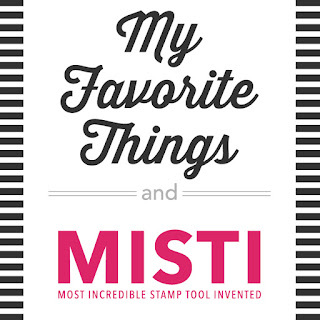 The Misti is the perfect tool and I use it all the time! I forgot to mention! I LOVE giving lip glosses to people! My favorite lip gloss company is called Basin, and everyone I know who tries it loves it too! I love creating fun gift cards and tags that have the pop out hole that is the perfect size of a regular lip gloss tube. I need a die cut though to make my life easier, and one for EOS balls too! Thanks for giving us some great inspiration today! Oh so wonderfully sweet - such a fabulous treat package. I am still giggling over that sentiment :). I love to make personalized recipe cards and calendars as gifts. I definitely love giving wrapped Hershey's nuggets--they are so fun to wrap in coordinating papers. Fabulous creation! I love to give all type of papercrafted items. Little treat containers (like the nugget tag), card sets & calendars. And the misti really helps make stamping so much easier! I love gifting candy and lip balms and absolutely love MFT selection of pouches, this is a great project to create with young kids. Thanks for the inspiration and for the giveaway! Very nice! I was hoping for the new gadget from MSP sneak peak! I like to make a match book and staple or tuck a goodie inside. I like to make little gift bags with chocolate treats in them. Such a fun project! I love the colors you used! Very colorful! I love receiving handmade card sets. LOVE your treat. I purchased this awesome die set and made several nuggets using all of the MFT valentine paper I have. I love how you created your beautiful valentine paper....such creativity THANK YOU!! Those treat tags are really great, I can't wait to try it! Recently, I have been having a lot of fun with Post-It Note holders, I've made a bunch of them for my grandkids for Valentine's Day. What a cute gift! 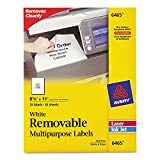 Love the idea of using Avery removable paper. This question is difficult to answer. Guess my fav would be a small house or treat box filled w/ sweet candies. Thx for sharing your creativity & the tips! Such a colorful and yummy treat! MFT and MISTI - a match made in heaven. I love to make little treat boxes, and used to make enough for my daughter's class for each holiday, when she was young enough to have class parties. The volume of boxes I make these days has unfortunately decreased dramatically, but I still love to make them. I love the idea of blending colors on label paper and then sticking it to card stock!! How original!! I love the sentiment too!! How hilarious!! I pretty much just make greeting cards and that's my favorite papercraft gift! I love giving them to my grown children because they think the cards are awesome, and some of my grandchildren are getting old enough to appreciate them also! I love the different treat box dies that have come out. I like just being able to create them for my daughter's teachers and friends. Cute and colorful way to give candy. I like to make cute packaging for gift cards or small gifts like jewelry. My favorite gift is a decorated candle. Only problem is that they're too expensive to mail, so can only give them in person. 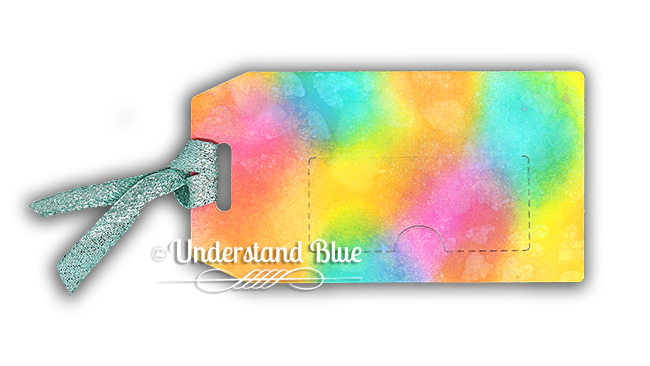 Beautiful color combo for your tag! I have to say Birthday Cards. Especially the ones I give to family and friends. My daughter saves every single one of them. Coworkers are so amazed when they receive one, and are curious on how they are created. If only work would allow a card making class once a month. It would definitely get rid of some stress in the work place. I love to see the smiles on the recipients face. They love them. Love the idea of nugget windows. Beautiful tag and amazing colors! I loved you used the heart pattern all over the tag. Thanks for the inspiration from MFT and MISTI design teams. This was a fun release and these nugget holders are fabulous. I love to give chocolate treats too. Nuggets or M&Ms are the best. I enjoy giving packs of handmade cards as gifts. :) I also give an occasional bookmark as a gift when I send a card. My favorite paper crafted giftable is definitely the nuggets, but the lip balms are a VERY close 2nd! So glad to see MSP & MFT teaming up together, two of my absolute FAV’s in the whole industry. Iliana has rocked my world with her Misti’sand all the supporting product enhancements. This bright and happy nugget tag is fab. Mini albums are my fave giftable as they're a lovely keepsake. Thanks for this wonderful collaboration. Love this pretty treat tag! Beautiful colors! My favorite treat to give would be my homemade cookies in some pretty stamped wrappings! This is so fun and bright! I love creating invitations for others parties, it feels so special and personal! I am a teacher and giving an interactive card to my 8 year old students is a fovorite of mine. Everyone crowds around to see the new card and the little child receiving the card feels special receiving something made just for them. It's really hard to find where to post a comment on some of these sites...Found you.....:) Love the nugget holders...never seen them before...really cool...thanks. My favourite paper crafting gift is the MFT lip balm die and shaker. It looks so professionally packaged when it goes together. I am a card maker so I give a lot of handmade cards. I give to nursing homes and dog rescues as well as any other charities who could use some cheer. Thanks for a chance to win. Great project! I don’t know if I have a favorite giftable. I love making cards with a gift card holder. This Christmas, I made paper ornaments for my family members, so they are my current fave! I haven't done any cool candy gifts like the nuggets, but I do enjoy giving handmade card sets as gifts, cards the recipient can give to others. This is so fun!! (I'm not sure about the "peeing" part, but I'm all in on the chocolate!! ;) I do love to create packaging for treats and also creations that make gift cards seem more special. Thanks for the chance to win such an amazing prize! Love your colorful treat tag! I enjoy making treat bags and boxes for my daughter’s students. These treat tags would be a great gift for them, too! I have a die from PTI that is shaped like a mini-purse that I've used for several baby/bridal shower favors. It's so fun to customize the favor for each event. I love giving card sets or mini album!